House price growth slows in the UK’s most expensive areas: could you snap up a bargain? House prices in the UK’s most expensive areas are starting to fall, according to statistics in the most recent UK House Price Index. So, does this mean now is the best time for prospective buyers looking for a good deal? Which? has analysed the data to see where house prices are falling, and what other things you need to take into account before buying a property. If you’re looking for expert advice on your mortgage options, call the friendly team at Which? Mortgage Advisers on 0800 197 8461, or fill out the form at the bottom of the article. Where are house prices falling? The graph below shows regional breakdown of annual house price rates change from January 2018 to January 2019, along with each region’s average house price in January 2019. As the graph shows, it’s the regions with the highest property prices that have seen the least price growth. In London, where property prices are by far the most expensive, prices fell by -1.6% in January 2019. Similarly, house prices in the east of England fell in January by -0.2%, the first drop since 2011. And in the South East, prices edged up by a paltry 0.1%. These three areas are also the priciest for buyers. The average house price in London is £472,230, while buyers in the East and South East are spending £288,494 and £321,174 respectively. If you’re looking to buy a house in these areas, it could be worth acting now while prices are in a downturn. Keep in mind, however, that prices could continue to go down, so you may not benefit from as much equity growth as you would elsewhere. Before making making an offer on a house or flat, it’s worth doing a few simple checks to make sure you’re not overpaying. How long has the property been on the market? The ‘norm’ for this will vary. The Rightmove House Price Index for January 2019 found that properties in Scotland were the quickest to sell, at an average of 53 days, but you could wait an average of 82 days to shift your property in Greater London. If the property you’re viewing has been for sale for much longer, the owner may be willing to accept a lower offer. What’s the minimum price the seller will accept? It’s worth asking, although the estate agent is unlikely to give you the true figure. Has the asking price been reduced at any point? Again, the estate agent might be reluctant to reveal this information, but if the property has been listed online you might even be able to have a look at its listing history. Have any previous offers been made? And were they accepted? The agent won’t be able to tell you how much any previous offers were made for, but they might be able to hint at whether or not they were close to the asking price. What are the circumstances of the seller? If, say, the seller is moving to start a new job, then they may be after a quick sale – and more willing to negotiate on price. Similarly, if they’ve already found another property to move to, they may also settle for a little less for the sake of a smooth, speedy sale. What are other properties selling for? Check listings and sold prices for similar properties in the same area to see how much other buyers are buying, and how this property measures up. Despite prices dialling back in the south and east of England, much of the rest of the UK has continued to see property price increases. In Northern Ireland, prices are up 5.5%, followed by 4.6% in Wales. The highest property price growth in England was seen in the East and West Midlands, at 4.4% and 4.0% respectively. These rates exceed the current rate of inflation, whereas price growth in Scotland, and the north east and south west of England doesn’t. You should also consider the context of the price changes. Prices may not have changed all that much, even in areas that have seen the highest growth, if they started at a lower base. The average property price in Northern Ireland is £136,669 – so, even though prices have risen by 5.5%, that equates to a pounds-and-pence increase of just £7,125. Conversely, London property prices still remain high, but a relatively small-sounding 1.6% price reduction equates to £7,678. Has Brexit affected the market? Some buyers and sellers have been put off by the thought of going ahead with a property purchase in a stagnant market, new figures suggest that it’s actually not stagnant at all. Despite much of what is being reported in the media – that the uncertainty surrounding Brexit is putting people off making property transactions – it seems that people are buying houses at the same rate they were last year. 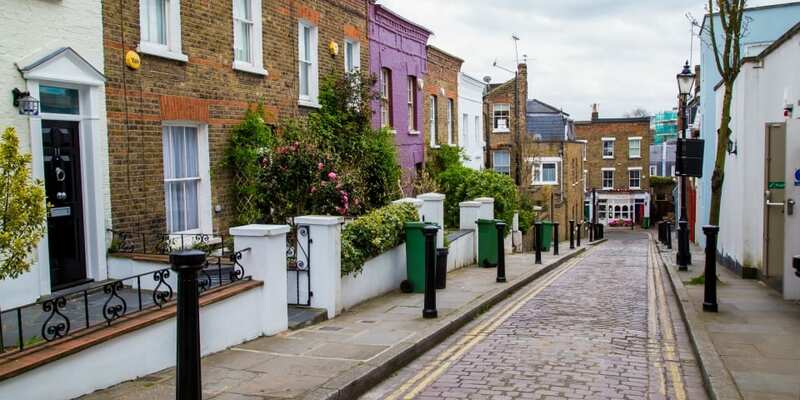 Indeed, according to HMRC’s UK Property Transaction Statistics, non-adjusted residential transactions were around 0.9% higher in January 2019 compared to the previous year, topping 100,000. While it’s an important factor, property price alone shouldn’t dictate where you decide to buy a property. For such a major life decision, you’ll want to know about the area’s council tax rates, what the schools are like, how happy people in that area are, and whether there’s any change of life expectancy in comparison to the rest of the country. Handily, our area comparison tool can tell you all of this information – bringing together things like Ofsted ratings, Band D council tax rates and ONS data. You can compare any local authority in England with the national average, or compare two areas to each other. Whether you’re ready to buy a new home, or it’s something you’ve only recently started planning for, getting expert mortgage advice can help the whole process go more smoothly. The friendly team at Which? Mortgage Advisers are there to answer any questions you might have, as well as giving a whole-of-market view of the mortgage options available to suit your circumstances. For a free consultation, call Which? Mortgage Advisers on 0800 197 8461 or fill in the form below for a free callback.